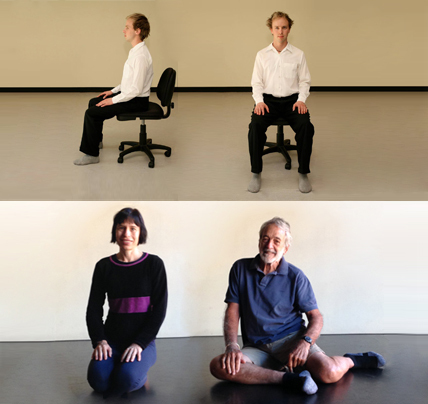 Welcome to the Sitting Easy series of movement classes. The program guides you through 9 movement lessons, based on the Feldenkrais Method of Movement. They are suitable for anyone who sits! They are designed so that no matter what your abilities, you can potentially improve your comfort and capacity to be rested or active while sitting. The first 4 of these classes are designed to do while you’re sitting in a chair. The rest of the lessons are designed to help sitting on the floor easier. Please feel free to contact me if you have any comments, questions or feedback.